Cleaning your own home or office may be difficult when there are too many professional responsibilities requiring your time and energy. If you are living in South West London and need the services of a reliable and trustworthy cleaning company, we are always at your disposal. 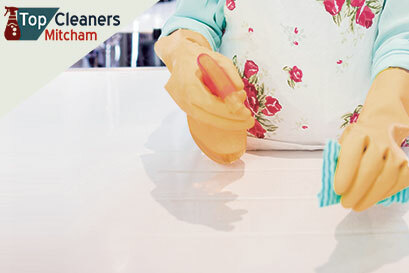 Our skilful and hard working cleaners are able to handle all kind of cleaning projects in a quick and efficient way. Satisfying the cleaning needs of our clients for years already, we have reached high achievements in this field and also gained the required knowledge to provide excellent customer service. We believe that it is not just a regular cleaning service what people need, therefore, we give them also personal attention and 100 per cent satisfaction. As we are fully committed to providing cleaning results that matter in the long run, we constantly update the cleaning methods and strategies of our professionally trained cleaners. All of them possess the necessary skills and expertise to deal with all cleaning duties that you request and surprise you with pristine cleaning results. As your comfort is important for us, we would like you to know that all our operatives have passed a background check and possess clear criminal records. For your convenience, we are currently operating everywhere in South West London and with us you can book everything from professional carpet cleaning to domestic house cleaning. You can count on us even if you are living on rent. Our dedicated cleaners would be happy to bring your property in order for the inventory inspection and help you keep your deposit. When the maintenance of your home or office premise becomes an issue and you need an efficient and cost-effective cleaning solution, do yourself a favour and contact your trusted cleaning contractor. © 2019 Top Cleaners Mitcham. All Rights Reserved.